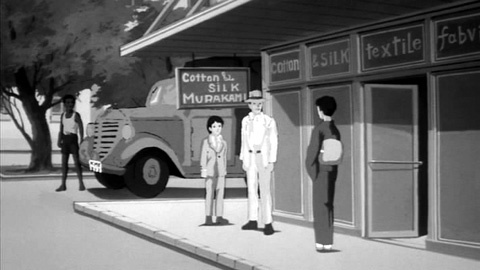 The year is 1941 and the Murakami family run a small textile trading business in Nairobi, the capital city of British-colonized Kenya. With the Pacific War about to break out between Japan and the Allied Forces, the young Wataru and his father leave the city and head into the bush. The two become separated when caught in a fracas with a highly-strung rhinoceros, leaving Wataru to roam the plains alone and his father in the hands of the British forces. Fortunately salvation is at hand for Wataru when he stumbles across an aging Maasai chief, separated from his tribe and in a poor state of health. "Ah, you are Japanese, so you must be courageous" the elderly warrior reassures Wataru as the young boy helps him back to his tribe, an act of kindness for which he is repaid with the gift of a spear. Two years later, Wataru has gone completely native and embarks on a series of adventures that bring him into contact with a hostile neighbouring tribe, a hidden valley of dinosaurs and a lizard-worshiping cult, and yet another jungle orphan in the shapely form of a flaxen-haired beauty from Scotland, named Kate, bosom heaving heavily beneath her leopard-skin one-piece. From his origins in the 8mm experimental scene of the 60s by way of the highly-praised horror House (Hausu, 1977) through the dismal piece of 1980s pap Drifting Classroom (1987) and Sada (1998), a recent retelling of the incident made internationally famous by Oshima's In the Realm of the Senses (1976), Nobuhiko Obayashi's body of work is certainly an eclectic one. It's no real surprise then to find an animation nestling amongst it. 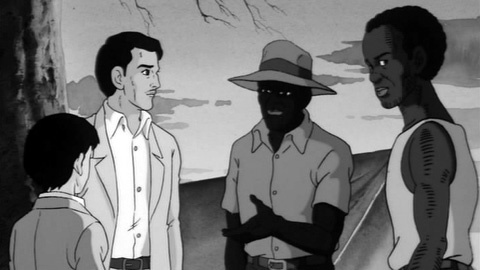 Released by Toei Animation, but with the influential clout of 80s movie mogul Haruki Kadokawa pulling the strings behind the scenes, Kenya Boy is a pretty lavish production. The most immediate thing of note is the quality of the animation. Though a little jerky, a large amount of work has evidently been poured into the dynamic rotoscoped battles between the assorted savage creatures of the savannah and the intricately drawn images of charging herds of big game, in an attempt to keep things as physically realistic as possible. A little creative leeway in scenes such as a battle where a hippo bites off a rhinoceros' leg is perhaps not too surprising, given Obayashi's background in the fantastique, but the near-photographic attempts at zoological verisimilitude soon fall in the name of dramatic license, with the appearances of a black puma who has wandered in from a completely different continent and a giant toad the size of a horse. From then on events take a rapid dive into the realms of complete fantasy as Wataru and crew find an unlikely ally in the form of a 50m-long giant serpent and stumble into a Nazi hide-out, anachronistically kitted out with video screens and gleaming lab equipment, where its fiendish jack-booted overlord is developing a nuclear bomb. Kenya Boy is based on a popular character developed by Soji Yamakawa, the old man seen in the live-action scenes bracketing the film. 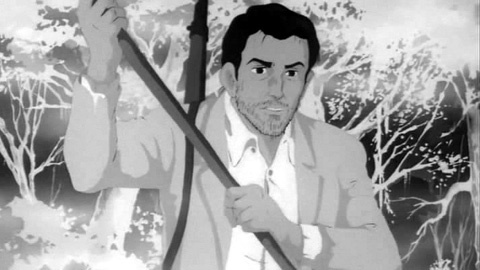 A highly popular writer of picture stories, serialised in children's magazines and precursors to the modern manga format pioneered by Osamu Tezuka, Yamakawa was pivotal in popularising notions of the untamed continent of Africa with the generation raised in the 1940s and 50s in vivid Tarzan-styled adventures such as Shonen Ohja (Young Boy King) and Shonen Taigaa (Tiger Boy). 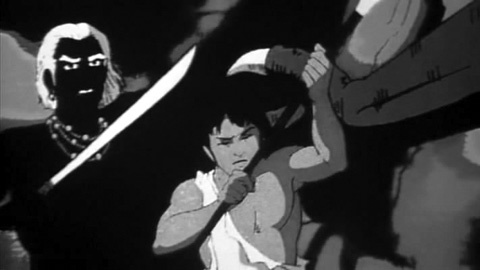 Shonen Kenya was also adapted to the screen in 1954 by Yotoku Iwasawa. Undeniably striking yet conceptually messy, and with a tangible nationalistic undercurrent, Kenya Boy can't help but be anything other than fascinating, though perhaps not always for all the right reasons.